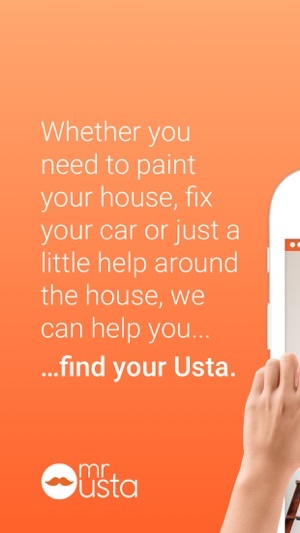 Mr Usta helps you find the right service provider whether you need to paint your home, learn how to make sushi, plan a birthday party, or fix your car in Dubai, Abu Dhabi and all over the UAE. 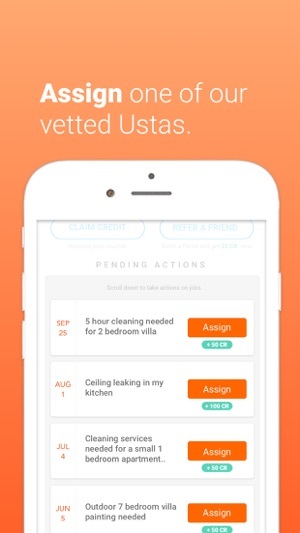 - It just takes 3 simple steps to post your job and begin receiving offers from qualified service providers in your area. - You can review their profiles, read their reviews and compare their prices before choosing the right service provider for your job. 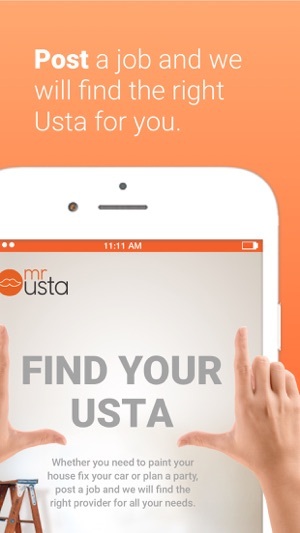 - No more needless searches through the yellow pages, classifieds, newspapers, or internet and numerous phone calls to figure out the right service provider who can do the job at an acceptable time, quality and price. By effectively and efficiently connecting customers to service providers, our aim is to make the process easier and happier for both parties. We have helped many great customers connect to the right service provider and have helped many qualified service providers grow their businesses. يساعدك مستر أوسطه على إيجاد مزود الخدمة المناسب سواء كنت في حاجة لطلاء منزلك، أو تعلم كيفية تحضير السوشي، أوالتخطيط لحفلة عيد ميلاد، أو إصلاح سيارتك. الأمر لا يتطلب منك سوى 3 خطوات بسيطة لطلب الخدمة لتبدأ في تلقي العروض من مزودي الخدمات المؤهلين في منطقتك. يمكنك مراجعة ملفاتهم الشخصية، وقراءة تقييماتهم ومقارنة أسعارهم قبل اختيار مزود الخدمة المناسب. لا داعي للمزيد من البحث في دليل الصفحات الصفراء، أو الإعلانات المبوبة والصحف، أو الإنترنت ولا داعي للمكالمات الهاتفية العديدة لإيجاد مزود الخدمة الذي سيقوم بالمهمة في وقت معقول وبجودة وسعر مقبولين. من خلال ربط العملاء بفعالية وكفاءة بمزودي الخدمات، هدفنا هو جعل العملية أسهل وأكثر سعادة لكلا الطرفين. لقد ساعدنا في ربط العديد من العملاء بمزودي الخدمات عبر موقعنا، وساعدنا العديد من مزودي الخدمات المؤهلين على نمو أعمالهم. We’re constantly improving our app to make booking services easier and more convenient for you. With this release, we added Apple Pay and got rid of a few bugs. I thought a good application. The idea is just great, but unfortunately, as soon as I started using it, I immediately got disappointed. 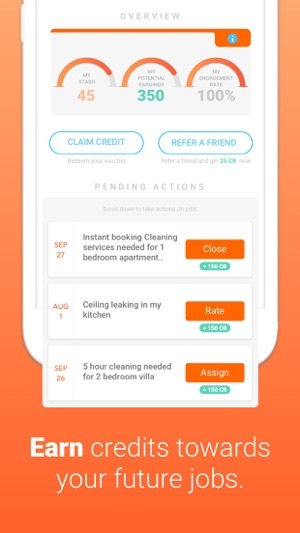 Companies that offer services through this application are just disgusting. I placed 3 announcements for various services around the house and received offers from all 3 announcements, but companies that offer their services there are some kind of garbage. As a result, I did not accept any offers and found the company in the old-fashioned way according to the advice of my friends. 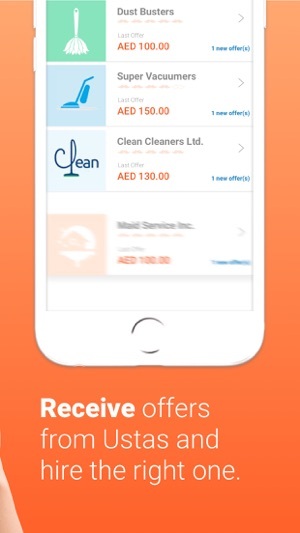 If the owners of the application want to really be successful with their own product, then they should seriously think about the selection of companies providing their services on this application. Love how quickly I was connected to professional laptop repair companies to fix my laptop’s power issue. Had a service provider not only repair it but also recalibrate my Mac to make it run faster. Kudos! Keep up the great work. I use it very often for home improvement projects. Very easy to find very quality service and service providers in Dubai. Also very affordable service in a short time quickly.